NOW OPEN! The Madden crab @ 803 South Gloster Street, Tupelo, MS. Located across from the hospital. A new restaurant opening with its own unique style, menu, and look, is always an exciting event for our community! The excitement starts to build from early plans, new construction, and finally the big reveal! The Madden Crab team has been working full steam on the remodel and branding of the new eatery, and are ready to welcome Tupelo to a new dinning experience! I was told that most of their seafood comes from our Gulf Coast when available and in season. And although they don’t offer a buffet, on the menu you’ll find steak, chicken, and a sea of seafood to dive into from Blue Crab, Snow Crab and King Crab Legs, lobster, Oysters, Crawfish, Shrimp, Clams, Dungeness, and various versions of Mussels. Plus many sides and sauces to accompany your main course. I had the privilege of attending the soft opening and getting a taste of what’s on the menu. Pure awesomeness! Everyone got a mixed bag of seafood with your choice of seasoning. There was also a table set up with a sample of their fried meats and chicken wings. After being seated, and making your menu choices, you are brought a bucket filled with crab shell cracker tools, lobster bib, plastic gloves, and wet wipes. I used all of them which came in very handy! Speaking of menu choices, you are offered several spices for your seafood combos. My favorite was garlic butter which is then included in your boiled bag of seafood goodness. The bags were a great idea since everything from the shrimp, potatoes, and corn will be infused with all the flavors. The Madden Crab has something for everyone. You can have something to drink at the bar with a plate of wings, hand breaded chicken strips with a side of fries, or dive head first into your favorite seafood! Folks, I’m very excited about this new dining experience. The vibe is extremely pleasant with a relaxed atmosphere. You could show up in your beach clothes or your snazziest getup. I spoke with the owner and staff at length and they have worked hard to create a new dining experience for our community to enjoy. Open Sunday thru Thursday 11am – 10pm, Friday & Saturday 11am – 11pm. View their Facebook page for specials and more. 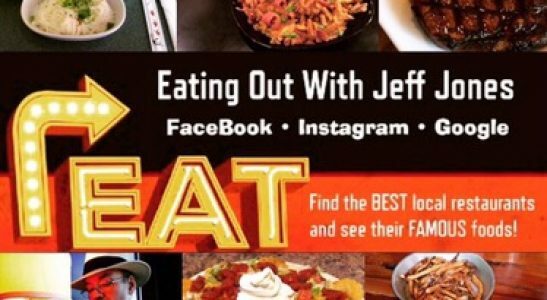 Tell them that Eating Out With Jeff Jones sent ya.